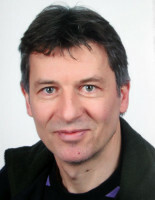 Tomas Lehmann is an archaeologist from the Humboldt-Universität zu Berlin. He has authored many publications about various facets of Late Antique/Christian Archaeology and Epigraphy, with focus on the Italian region. Tomas Lehmann is involved in the archaeological investigation of the church buildings of Cimitile/Nola and Aquileia (Italy). He is also director of the University-collection of Christian Art. Before coming to the Humboldt-Universität zu Berlin he taught at the Universities of Münster and Heidelberg. His Topoi-project consisted in research on the interrelation between the development of ecclesiastical space in the town of Aquileia and in the surrounding landscape.